You'll be £4.99 closer to your next £10.00 credit when you purchase Combat Over Korea. What's this? Combat Over Korea contains a superb selection of Allied airmen's first-hand operational experiences during this too often neglected war. These include aerial combat between fighters, a B-29 Superfortress bomber ditching in the sea and C-54 cargo plane being attacked by North Korean fighters. Worthy of particular mention are the exploits of the 'Death Rattlers' of VMF-323 and other Marine squadrons whose Corsairs flew close air support for the 1st Marine Division as they stormed ashore at Inchon and later when they helped save the Division from annihilation during the retreat from the Chosin Reservoir. Other accounts tell of hair-raising escapades after being shot down. While a number miraculously avoided capture, thanks to special rescue missions involving great skill and daring, many were less lucky. Their treatment by a merciless enemy in captivity was all too often brutal and very few escaped. While it was not until 1955 that the last POWs were released, the Author concludes that there is every possibility that a number were denied freedom forever. 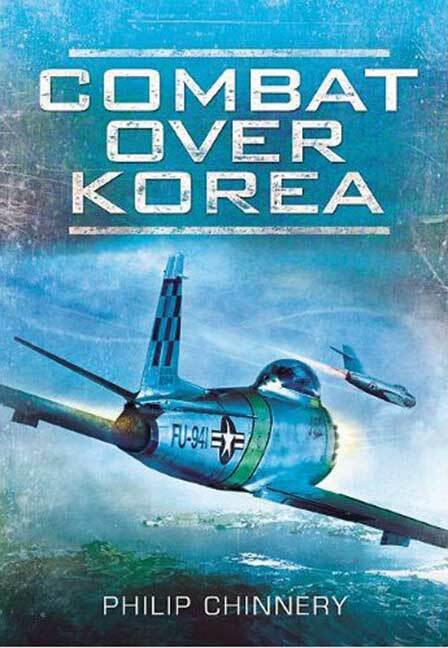 For its variety of air action and inspiring human courage, Combat Over Korea is unlikely to be bettered and will appeal strongly to a wide readership as well as aviation enthusiasts. This is one of the best books we've read in a very long time. 'Combat Over Korea' contains a superb selection of Allied airman's first-hand opperational experiences during this too often neglected war. This book contains real stories of 'daring-do' from inspirational and heroic avaiators who time is at risk of forgetting. For that reason it comes highly recommended and should appeal to aviation enthusiasts and fans of well-written war stories alike.